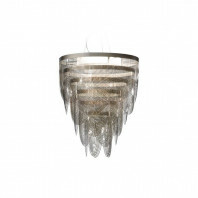 A perfect combination of the geometry, handcrafted detail and material innovation, the Slamp Clizia Suspension is a pendant lamp made from semi-translucent chips of Opalflex. 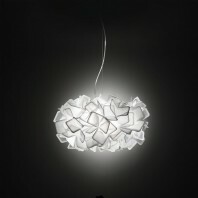 Available in two sizes, medium and large, the lamp also comes in a range of five rich colours (Black, Blue, Orange, Purple and White). Uitgebreide 8-armige armatuur, eigentijds en klassiek. 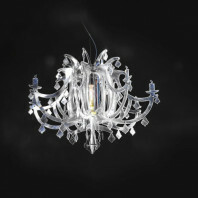 Admire this lamp with its modern and elegant design! 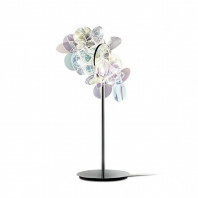 The Liza Prisme lamp offers us a 360° illumination. 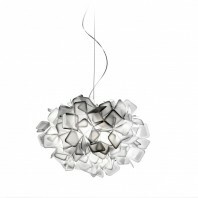 Admire this lamp with its modern and elegant design! 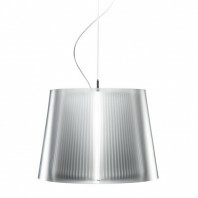 The Liza Prisme suspension offers us a 360° illumination.